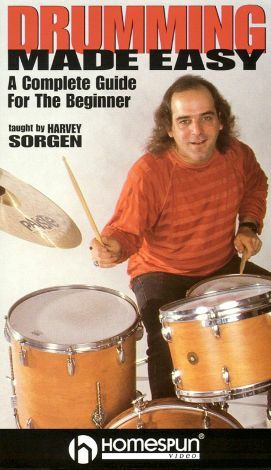 Harvey Sorgen offers instruction and advice for novice drummers in this educational video. Drumming Made Easy: A Complete Guide for the Beginner delivers practical information on holding sticks, reading music, understanding timing and grooves, basic drum patterns, and practice techniques. Sorgen also provides sound advice on how to develop improvisational skills and a style of one's own.